New technology may be a great breakthrough in helping to find and preserve endangered whales. 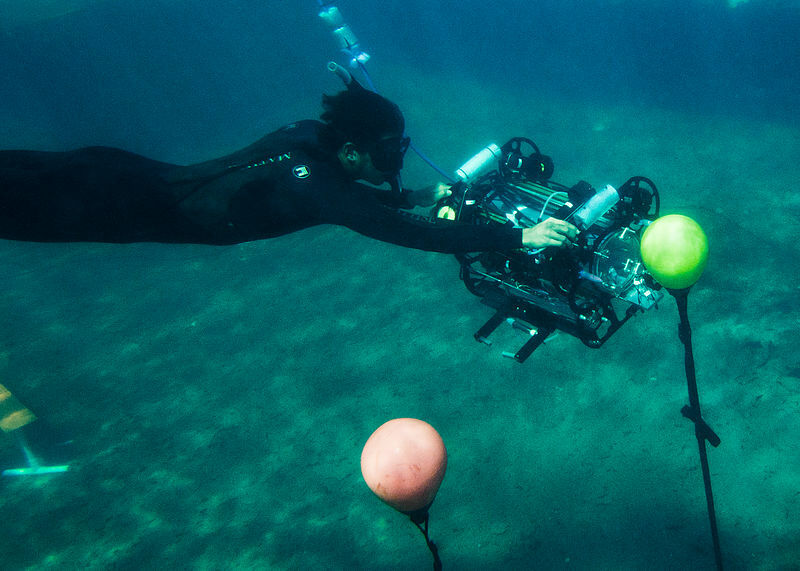 In the latest bit of cool technology news, the Woods Hole Oceanographic Institution (WHOI) sent two research robots underwater to listen to some whale songs in the Gulf of Maine. They had long suspected that they area was being used by whales as a breeding ground during the winter but until now had little proof. The end result was a record of whale songs coming from nine endangered North Atlantic right whales, in addition to several songs from more common whales. Listening to and recording the songs were but one part of the robots’ duties, however. They were also looking at the particulars of the water in the gulf, trying to figure out exactly why these species would be using the area for mating. And everything was a success thanks to the wonders of modern robotics. In addition to getting a chance to experience something that might have otherwise gone unheard, the use of these robots allows us to gain a new awareness of the habits of these creatures. By understanding where they are and why, conservationists are better able to put together plans to help manage and protect them. Now that it’s known for sure that the right whales are mating near the gulf, guidelines can be put in place to keep them out of harm’s way. Once again, technology proves a great help when it comes to being able to correct some of the damage that human beings have inflicted on animal populations. Our ability to study whales has been greatly increased and an important tool is now available to help return their numbers to proper levels. Who knows what else these robots could help with, given their superior detection skills?